Etta Menges would like to plan a trip to bike across Wolfe Island to Kingston Ontario, with plans to stay at the Tibbets Point Hostel. If you are interested in visiting this quaint area contact Etta so she can organize the trip. An enhanced license or a passport will be necessary for this visit to Canada. ROAD DISTANCE: To be determined by the group. 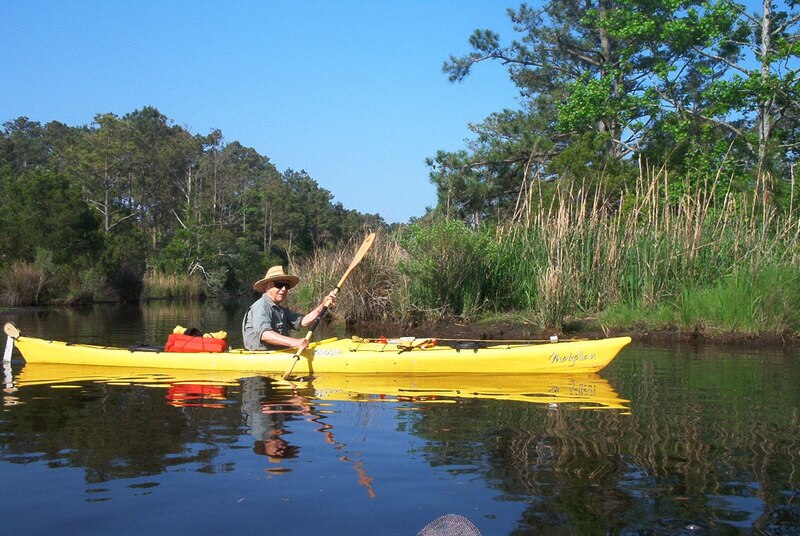 Paddle Lower Goose Pond through the channel to Upper Goose Pond where shores range from woodland, rocky peninsulas to a marshy inlet. Swim if it’s warm. 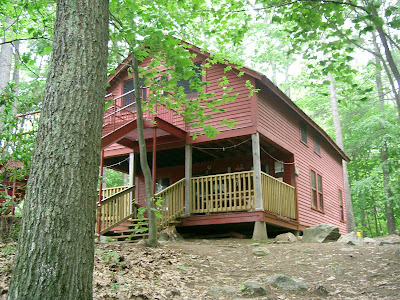 The AMC maintains a cabin for hikers on the AT here. We will leave from Schodack Park & Ride. Call for departure time. CONTACT: Call Dale Blanchet at 273-4262. LENGTH: 5.2 miles if you follow the shoreline. ROAD DISTANCE: Approximately 75 miles round-trip. A high peak that is not too far and not too tall. This will be a moderately paced hike. CONTACT: Katie Henrikson khenriks@nycap.rr.com or 439-4308. 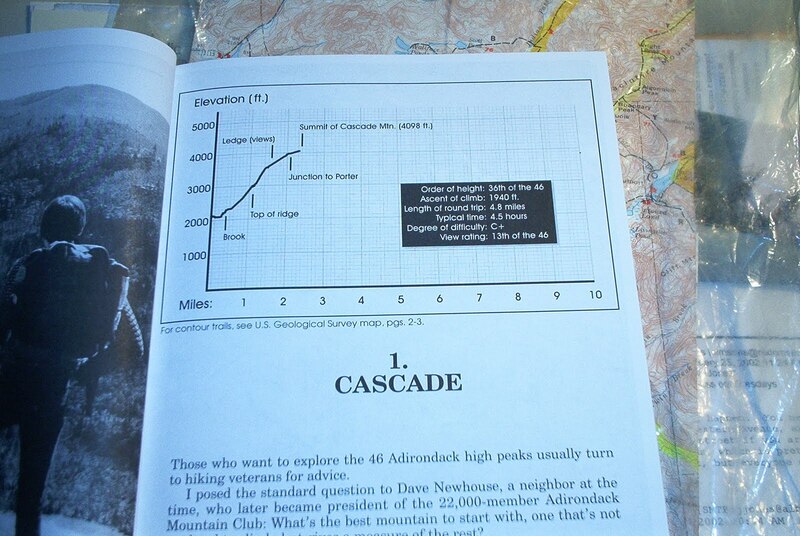 LENGTH: 5 miles and 2,000 feet of ascent. We are going to bike around the Tomhannock Reservoir. There is one steep hill via Lakeshore Road on the west side of the reservoir, which we may walk our bikes. There are two small sections of dirt roads too. The views along the entire ride are inspiring. Group willing we may pedal through the Village of Tomhannock, which has some quaint churches, mills, shops and stores. Contact Phil for meeting time. LENGTH: 14 to 22 miles round-trip. ROAD DISTANCE: 20 miles round-trip from Wal-Mart’s in Brunswick, NY. This arboretum includes three areas with diverse habitats--woodlands, meadows and wetlands. Visitors may visit the plant collections, enjoy the views, and watch wildlife. No admission charge. Call leader for meeting time and place. ROAD DISTANCE: Contact Susan for information. We will put in above Lock 7 and take out at the state boat launch above Lock 6. We will have to spot a car at the state boat launch site. Meet at 10AM at the boat launch. Please e-mail or call. ROAD DISTANCE: Your house to Lock 7. This route has several ups and downs as you hike to the impressive lookout. The vistas are some of the best in the Catskills. We will meet at the Delmar Park and Ride, please contact Phil for the time. LENGTH: About 5 miles round-trip, ascent of 1100 feet including return. ROAD DISTANCE: About 115 miles round-trip. Spend a Sunday afternoon strolling in the cemetery of the oldest church in Stephentwon. We will be viewing stones with colorful epitaphs and hike to an extensive wetland -including a Revolutionary War grave. This hike is in conjunction with the Rennselear Land Trust. Starting time is 1PM but contact Doree for further details. CONTACT: Doree Cox at 658-2643. ROAD DISTANCE: To be announced. This is a fall foliage tour of Somerset Reservoir in West Dover, Vermont. We will meet at Hannaford Plaza in Bennington, VT, at 9:30 A.M. We will drive 27 miles to the reservoir from Hannaford as a group. Rain Date: Sunday October 3. CONTACT: Rob Bayly at 279-4402 or Cathy Karp at ckarp00000@aol.com. . LENGTH:: To be determined by group. ROAD DISTANCE: Your house to Somerset, VT. Picking up from our spring hikes, we will head south on the AT from NY Route 55 to NY Route 52. This is a rocky ridge walk with several open views. LENGTH: 7.2 miles and approximately 1100 feet of ascent/descent. ROAD DISTANCE: 150 miles round trip plus a car spot. This will be a hike along the TCT trail at the southern end along a wooded trail. Call after September 28th for further information and to sign up. Trip requires a car shuttle. LENGTH: 9.68 miles and approximately 1017 feet of ascent. ROAD DISTANCE: To be determined by meeting place. CONTACT: Lynn Filarecki, 674-2125 before 9:00P.M. LENGTH: Approximately 8 miles, elevation about 1300 feet. LENGTH: About 5 miles with 1150 feet of ascent. ROAD DISTANCE: About 160 miles round-trip. This will be a nice walk around a State Park with abundant flora and fauna. Bald eagles and blue heron are often seen flying overhead. Meet at 9:30 A.M. in the Waterford Visitors Center, if needed call Phil for info. LENGTH: About 2 to 3 miles round-trip with minimal ascent. We will put in above Lock 6 and paddle through the Waterford 5 locks to the junction of the Hudson River. Meet 10 AM at launch site. Call if you need instruction to get to the launch site. Please call or email. ROAD DISTANCE: Your house to the boat launch above lock 6. This section of the AT is only 4.8 miles, but it climbs over Stormville Mt. and Hosner Mt. from NY Route 52 to the Taconic Parkway. Since parking is limited near the parkway, we may need to extend the hike to include part of Section 6, making the trip a little longer. LENGTH: 5-8 miles with approximately 900 feet ascent/descent. ROAD DISTANCE: 150 miles round-trip plus a car spot. This will be a hike from Hogtown. We will follow the blue horse trail markers to the summit. We will meet at the Northway Exit 9 P&R off Fire Road at 9:30 A.M. When we last took the Basin Brook Trail it was described as a gorgeous gouge. 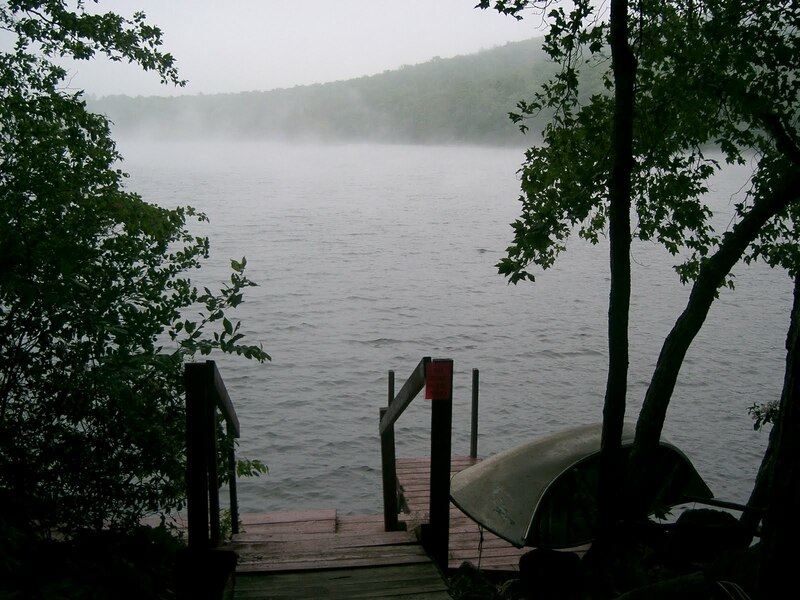 There are two routes to the State Forest with different meeting places so call leader. Tell your friends who do not have E-mail. Length: 4.5 miles ascent 370 ft.
Road distance 120 miles round-trip. 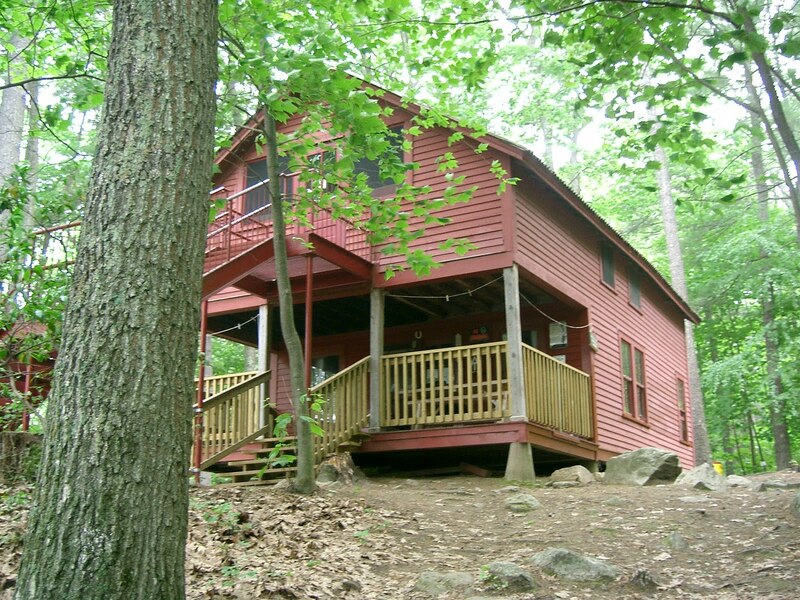 The trail to Thomas Mountain follows a logging road as it winds up the mountain through varying forest types for approximately 1.5 miles and ends at a quaint cabin that takes in the region’s scenic beauty. We will meet at the Northway Exit 9 P&R off Fire Road at 9:30 A.M. LENGTH: About 3 miles round-trip with an ascent of about 750 feet. This is the first of three moderately paced hikes to complete this trail. The trail climbs the ridge from the west, turns north and descends the Alander Brook Trail. Gather at Schodack Park & Ride. Call for time. LENGTH: 6.7 miles with an ascent of 1460 feet. Hikers may cross back and forth across the Hudson River, or complete a several mile loop on primarily paved surfaces. For those who wish to bike, the mid-Hudson Rail Trail is adjacent. Call leader for meeting time and place. Meet at I87, Exit 9 P&R or at the Saratoga Battlefield parking lot. ROAD DISTANCE: 32 miles round-trip. We’ll reach the trail via the Robert Brook Trail and continue our trek north over Alander Mountain with its open peak. Trail then drops west to a bridge over Bash Bish Brook. LENGTH: 6.3 miles with an ascent of 1420 feet. In the Catskills, we will ascend to the Escarpment Trail via the Burnt Knob access trail on Big Hollow Road, continue to Windham High Peak, then descend to Peck Road where we will have spotted a car. We will meet at the Elm Avenue Park & Ride in Delmar at 8:00 A.M. CONTACT: Katie Henrikson, at khenriks@nycap.rr.com or 439-4308. LENGTH: About 6.5 miles with about 1500 ft of ascent. ROAD DISTANCE: Round-trip about 100 miles. We’ll cover the section of the TCT from Robinson Hollow to Mattison Hollow. This will involve blow down removal and drainage work. Petersburg Pass to Route 346. Hike along the crest of these mountains with a gradual downhill at the end. The hiker will find a wet area at the end with bridging completed by Taconic Crest Trail members during the summer. Trip requires a car shuttle. Contact Mary for meeting place and time. CONTACT: Mary MacDonald at macdonald003@nycap.rr.com or 371-1293. LENGTH: Approximately 8.35 miles with an ascent of 1556 feet. This final section of the trail ascends from roads in Taconic State Park past views at Sunset Rock, Prospect Hill and Mount Fray and descends through Catamount Ski Area to Route 23. Leave from Schodack Park & Ride, call for time. LENGTH: 6 miles with an ascent of 1519 feet. Today is the deadline for your contribution to the winter schedule. Please continue to do your part in helping to keep our club as diverse and active as it has been, you really make a difference. Go through Ice Glen, up to Laura’s Tower for the view, climb the ridge, descend to the Burgoyne Pass Trail, then west through the col and back down to Ice Glen Road. We’ll leave from Schodack Park & Ride, call for time. LENGTH: 6 miles with 1225 feet of ascent. ROAD DISTANCE: Approximately 60 miles round-trip. For non-shoppers on “Black Friday” this will be an enjoyable hike to Buck Mountain via Hogtown. May checkout a few outlets in Lake George if the group desirers. Meet at the Northway Exit 9 P&R off of Fire Road, contact Phil for the time. LENGTH: About 5 miles round-trip with an ascent of 1130 feet. ROAD DISTANCE: About 135 miles round-trip. All hikers should appreciate the work The TCT Trail Crew put in, ditching, bridging and lopping on the Rt. 346 trailhead in North Petersburgh on July 25th. In an effort to have a dry path thru the muddy area near the parking lot, Ranger Joe Hess first took planks, base poles and tools up in his DEC truck to start the work, he was then joined by our THC Trails Chair Colin Campbell and Colin’s work crew of Bob Armao, Rosemary Daley, Phil Fountain, Walt Hayes, Bob Hydorn, RJ Hydorn, Mary MacDonald, Dave Pisaneschi and Cliff Prewencki. Several hours were spent digging drainage ditches in the mud, then laying out and spiking in 7 new footbridges plus some 100 ft of drainage. The total (both old & new) of 14 x 10 ft bridges for this area is approximately 140 ft of dry footpath. Phil Fountain led the way out at the end, widening the trail with the club's line trimmer. On August 1st Ed and Sandi Slattery and Colin Campbell put in four more bridges and more ditches. In the fall we plan to paint the planks with a preservative so keep an eye on your e-mail for this notice. Speaker: Marvin Bubie "Along the Erie Canal"
We'll spot cars and cover the northern most portion of the TCT. On the way we'll visit the Snow hole. Total distance will be about 8.4 miles. No calls after 9:00 please. CONTACT: David Pisaneschi, at dpisanes@nycap.rr.com or 459-5969. ROAD DISTANCE: Contact David for info. We will hike the Becker Hollow Trail, on the first day of winter, to the second highest peak in the Catskills – 4040 feet. Be prepared with gear for winter conditions. We will meet at the Elm Avenue Park and Ride in Delmar, please contact Phil for meeting time. LENGTH: 2200 feet of ascent and about 3.4 miles to the summit. ROAD DISTANCE: About 100 miles round-trip. Thursday, December 23: Taconic Crest Trail - Petersburg Pass to SE Hollow. This winter hike may require snowshoes. Contact Mary for further information. This year’s End to End had two members of our Taconic Hiking Club earn the “Bloody Foot” patch (an honor given only to THC members that complete the 29mile endurance challenge}. Congratulations to Nick Conrad and Christopher Koeblin. To read the complete article, go to www.http// bulletin.aarp.org. Plans are being made for the THC Annual Fall/Winter Banquet watch for an e-mail and a snail mail with the details. There are insects that bite. There are others that sting. But let me tell you just one thing. a can of spray to put it down. to its pesky buzzing sound. No more bites, no more itch.